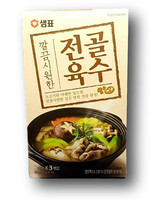 Noodle: Sweet potato starch, tapioca starch, corn starch, salt, emulsifier [E322 (soya), E466], antioxidant (E330). 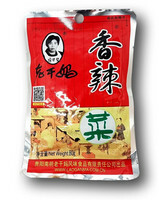 Spice: salt, dried green beans, sugar, dried chives, yeast extract, sichuan pepper, flavoring, flavor enhancers (E621, E635). Sauce: rapeseed oil, broad bean sauce (broad bean, pepper, salt, water), tempeh [soy, salt, soy sauce (soy, salt, water)], chili, sesame, sichuan pepper, chili, spices (star anise, ginger, cinnamon, bay leaf), flavoring. Chili: chili, salt, spices (star anise, ginger, cinnamon, bay leaf), flavoring, flavor enhancer (E621). 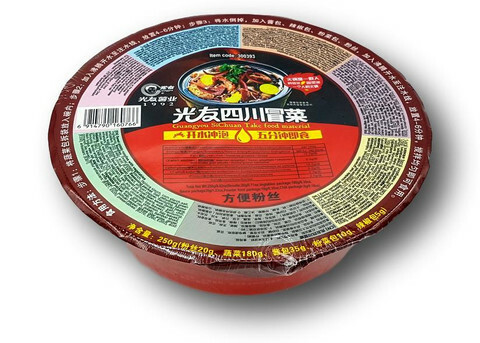 Vegetable: kelp, lotus root, potato, bamboo shoots, black fungus, water, salt, soy oil, sugar, chili, sichuan pepper, spices (star anise, ginger, cinnamon, bay leaf), flavor enhancers (E621, E635), preservatives (E270, E260, E202) , antioxidants (E330, E301).